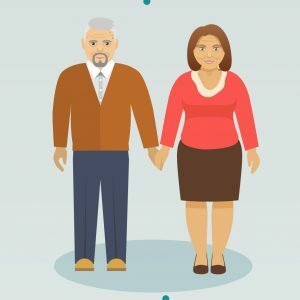 Gray Divorce – How Does Divorce Affect People Over the Age of 50 Years Old? Gray divorces can put older Floridians in the financial red. The divorce rate for individuals over the age of 50 has doubled over the past two decades, and while other age groups have shown a decline in divorce, this age group continues to maintain or increase in more recent years. While the impact of minor children is less frequently occurring in these divorces, the financial impact of a “later in life” divorce can have substantial financial effects on the spouses in the State of Florida. Considerations must be given to the intertwined finances of couples that have long term marriages, as well as the accumulation of assets and liabilities, health concerns, and a likelihood of permanent spousal support. The assets of these couples can be significant, and the need for an experienced Florida Family Law Attorney that can help to manage and lessen the financial impact of a divorce is essential to maintaining and maximizing the distribution of assets through a divorce. In many situations, these couples have amassed significant retirement accounts, pensions, real estate, and other personal assets that should be itemized for proper allocation of assets to be determined marital and non-marital property, when evaluation equitable distribution in a divorce case. Unfortunately, this information has not been fully or openly discussed by the spouses and requires that records from employers and banking institutions be directly subpoenaed from the source to avoid continued misinformation. What is a Marriage of Moderate Duration? Categorizing the duration of a marriage is important. The court looks to a multitude of factors, found in Fla. Stat. §61.08 (2)(a-j), when considering the amount and the duration of an alimony award. A marriage categorized as a marriage of moderate duration is particularly important when considering an award of permanent alimony. If a marriage is a long term marriage, as defined in the statutes, the marriage has with it a presumption in favor of a permanent alimony award. If after the court considers all other alimony factors and finds that no other alimony type would be proper, permanent alimony can be awarded. Whereas, a short term marriage would absolutely not have that same presumption. For a permanent alimony award in a short term marriage the court would have to find that exceptional circumstances exist to support such an award. Whereas, a moderate term marriage is open to a permanent alimony award also, but a higher standard of proof is necessary when awarding permanent alimony in cases of moderate duration marriages. Clear and convincing evidence as to the alimony factors must be presented to the court to prove that the receiving spouse is entitled to alimony.